Want to serve the perfect cheese board? 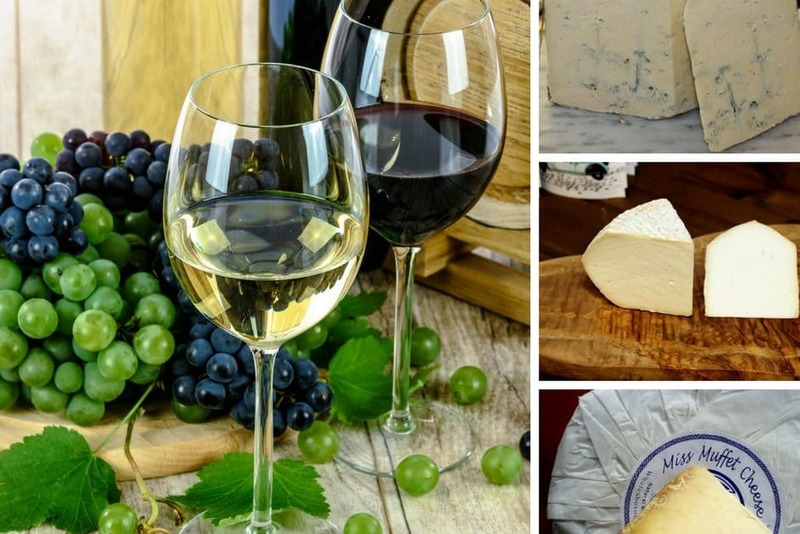 Take a look at our suggestions for some of our favourite cheeses from the West Country and our ideas for a perfect wine for each of them. Make sure you serve your cheese at room temperature; take it out of the fridge half an hour before serving. Chill your white wines and open reds to let them “breathe” before the tasting. Start with lighter cheeses and wines, then move to heavier varieties. That way, the palate won’t be overwhelmed. Try Sharpham Brie, from probably the country’s most experienced makers of ‘brie’ style cheese. Its clean, fresh creamy note with a hazelnut and light mushroom aftertaste is delicious with Pinot Noir. Try Ford Farm’s cave-aged cheddar made in Dorset but matured in the unique environment of Somerset’s caves. Lots of other local shops will sell these, or similar cheeses, places like Joshua’s in Ottery St Mary, the cheese shop in Tavistock market or in Topsham.